The Saudi Anesthesia Society (SAS) has received the news of passing away of Dr. Taha Aljasser with great sorrow and sadness. The news has caused shock to many people who knew him and to his students. Dr. Aljasser was considered mentor and father of anesthesiology to many colleagues in Syria and the Middle East. Condolences and tributes poured in from around the globe. He was a constant source of inspiration and knowledge to all of us, and worked extremely hard to improve the status of our specialty especially in developing countries. 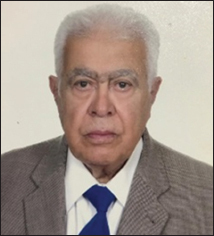 Dr. Aljasser was graduated from college of medicine, Istanbul University 1956 and finished his anesthesia residency 1959. Then he joined Copenhagen University 1962 as anesthesia trainee. Then he joined Oxford University and obtained FRCA 1972. He was full time Professor and Chairman of the Department of Anesthesia in Aleppo University, Syria for the period 1985-2000. Dr. Aljasser was the chairman of the Arab board committee in anesthesia 1993-2001. He has contributed in research by publishing many papers and authored 3 books. Dr. Aljasser was having an excellent background and memory on the history of anesthesia. I do consider him “History Keeper” of our specialty in the Muslim and Arab world. Dr. Aljasser is survived by his wife, three daughters and two sons. God bless his soul.